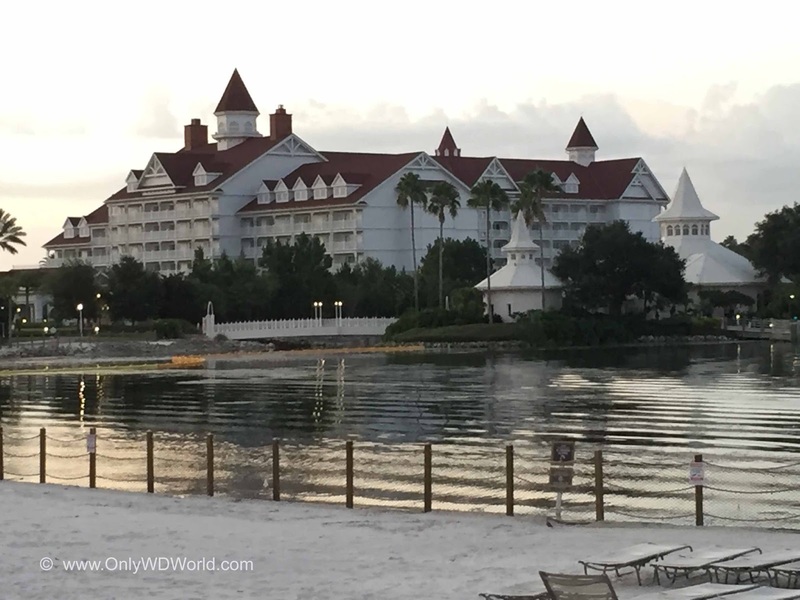 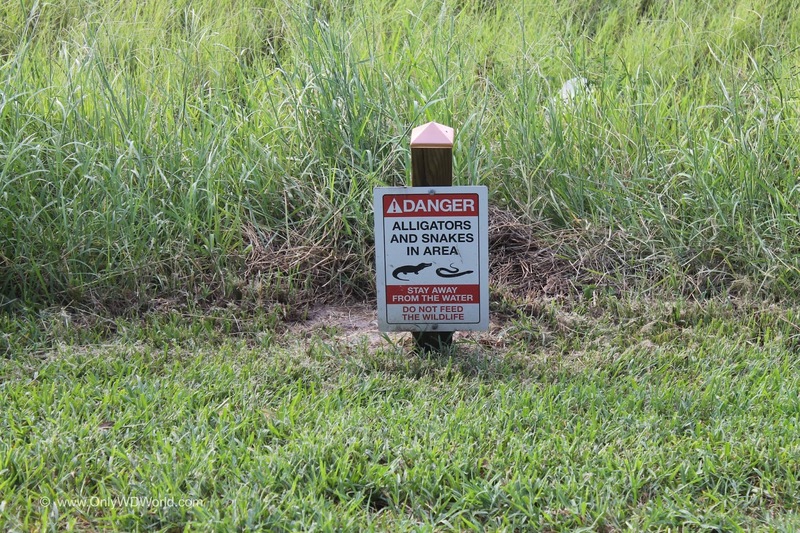 The Walt Disney World Resort has swiftly made changes after the tragic accident involving an alligator on the beach of Disney's Grand Floridian Resort & Spa. Despite not having any major incidents for the 45 year history of Disney World, Disney responded quickly with tangible changes that can be seen throughout the Resort and Theme Parks. 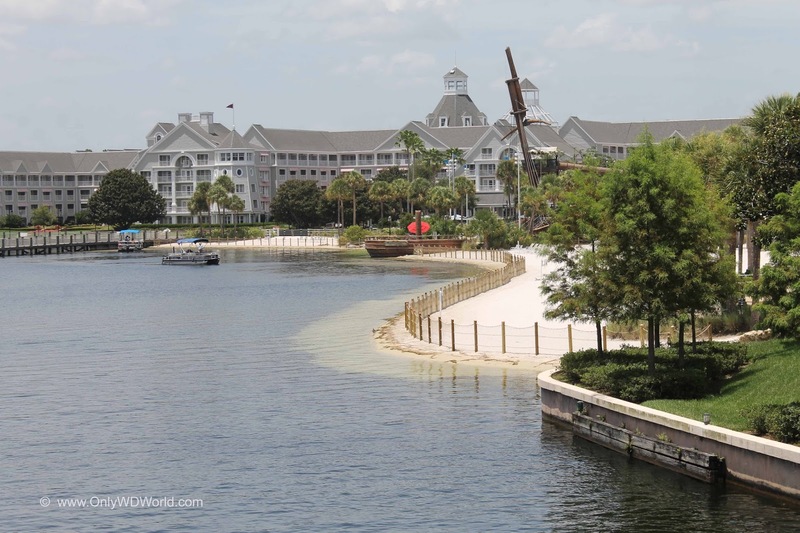 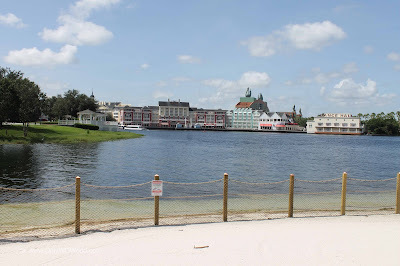 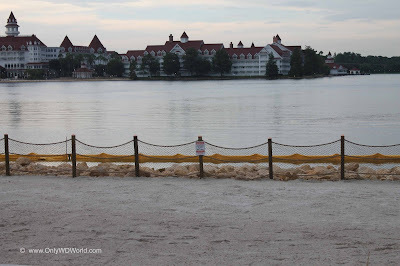 Major changes can be seen all along the beaches of the Disney's Grand Floridian Resort & Disney's Polynesian Resort which are located facing the Magic Kingdom on the Seven Seas Lagoon. 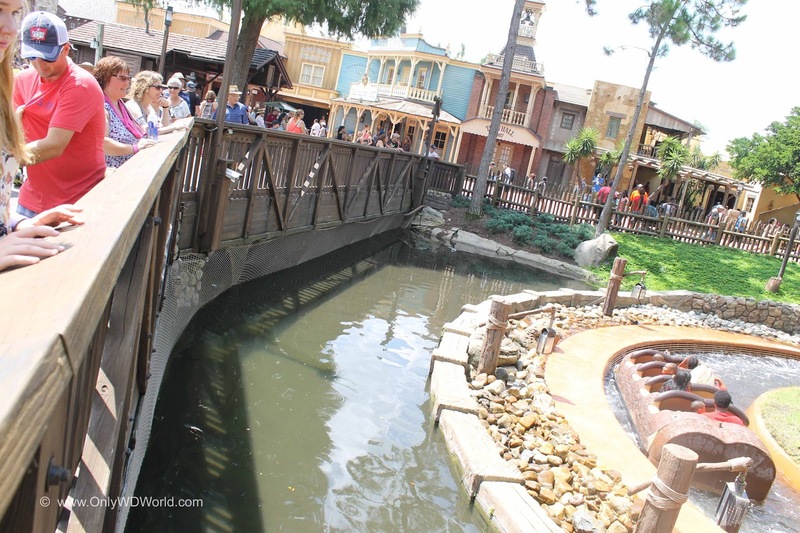 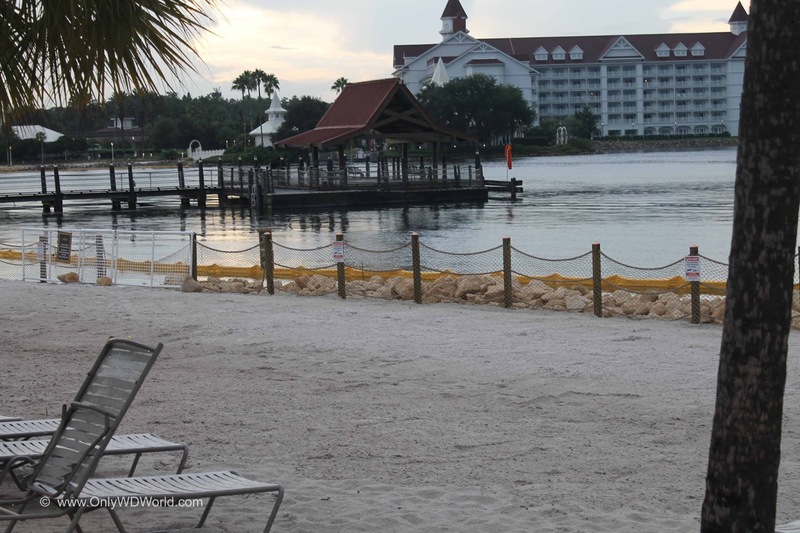 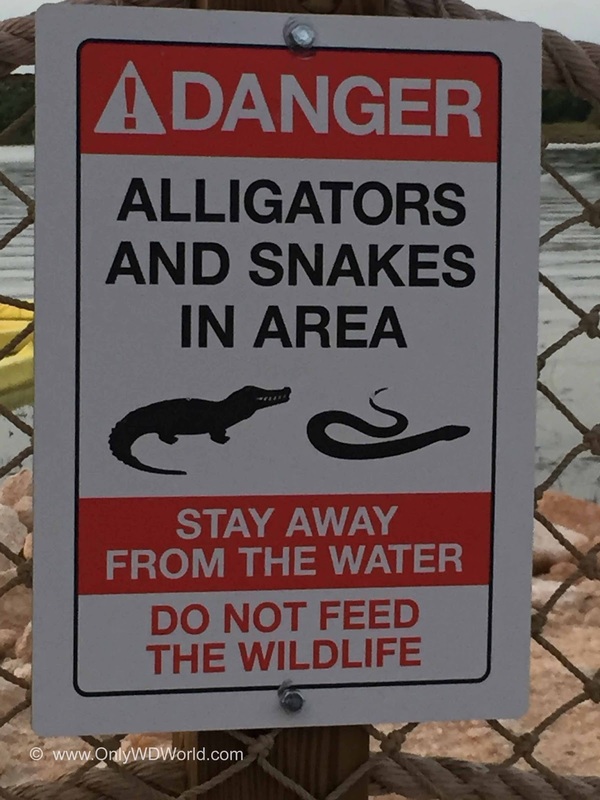 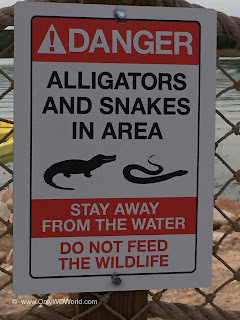 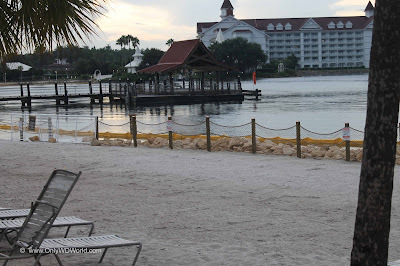 In addition Disney has added a wide rocky barrier between the fences and the edge of the water to form a barrier that will make it difficult for an alligator to quickly approach the fence from the water. 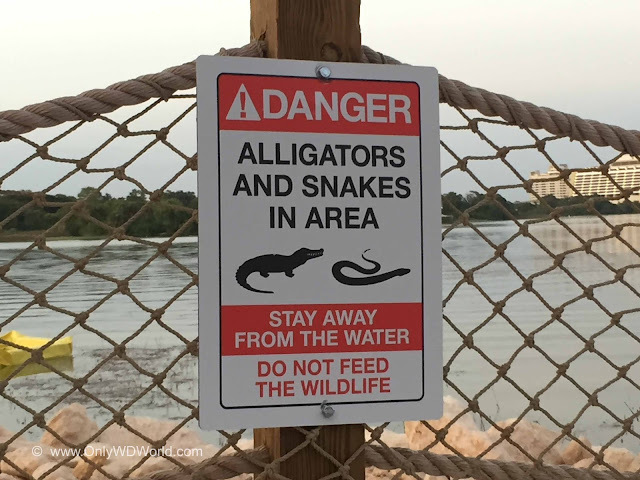 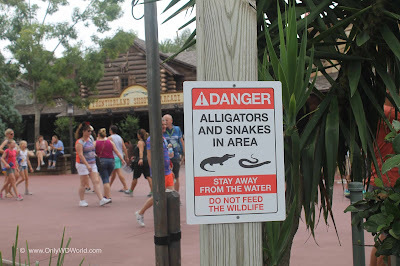 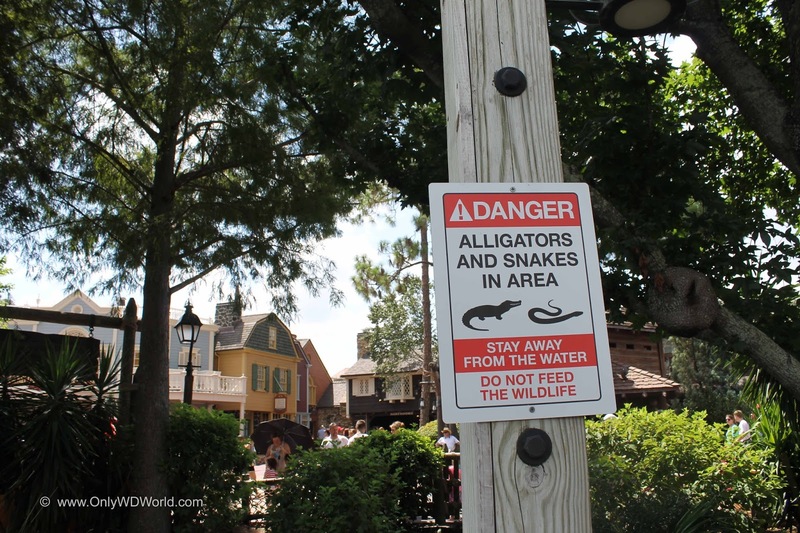 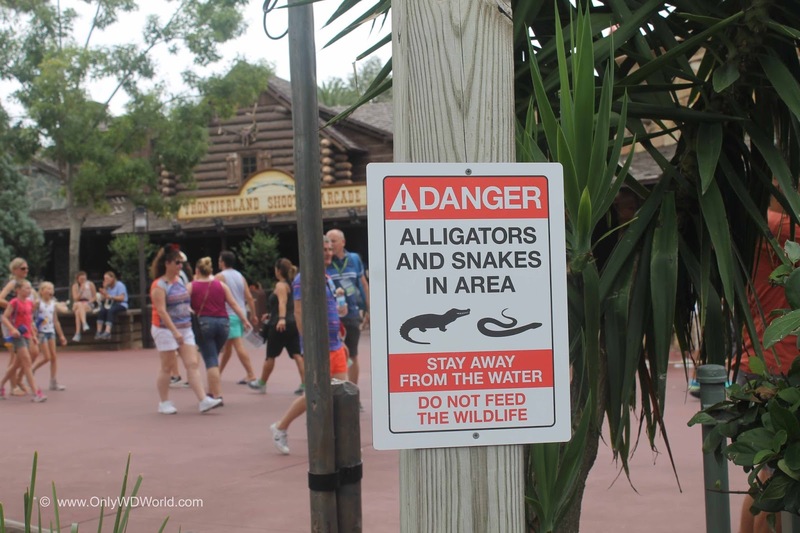 Alligator and Snake awareness has now been raised in the Magic Kingdom Theme Park as well! 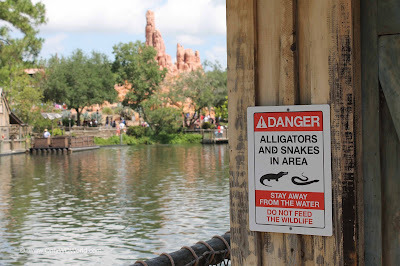 Along the Rivers of America you can see signs that warn of potential Wildlife related dangers. You can even see changes that have been made on the Splash Mountain Attraction. 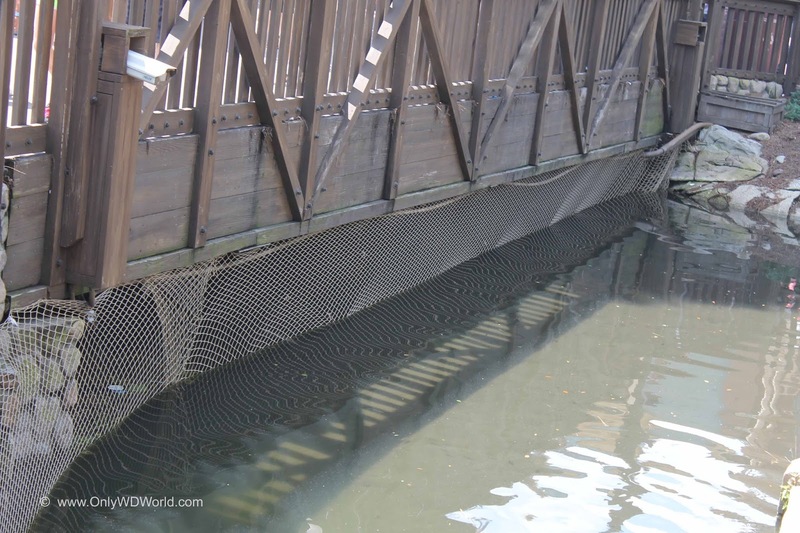 Special netting has been installed to reduce the ability for any wildlife in the Rivers of America making its way into the attraction. Frontierland has several visible signs to make people aware of the potential dangers. 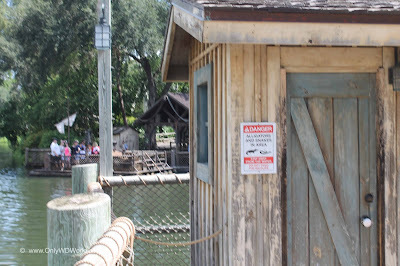 We captured pictures with Tom Sawyer's Island, Big Thunder Mountain Railroad, Country Bear Jamboree, and Frontierland Shooting Gallery in the Background of the new signs. Disney's other Beach areas are also seeing the changes implemented. 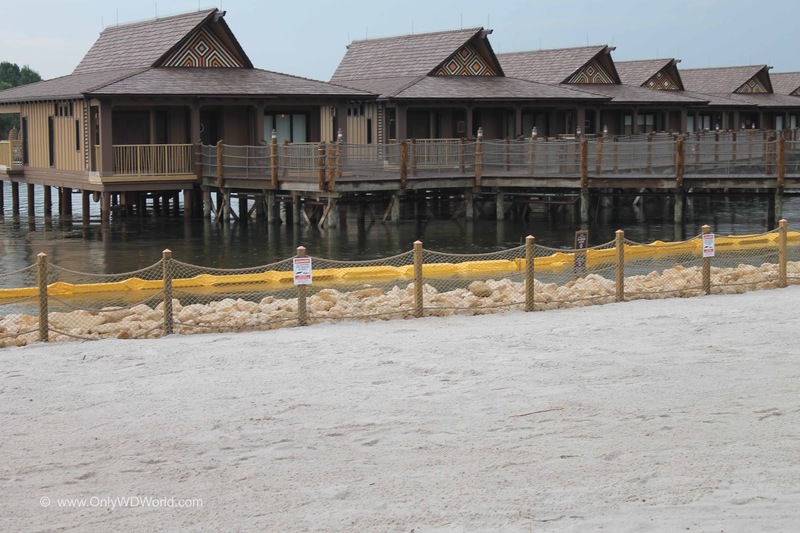 The beaches in front of the Disney's Yacht Cub and Beach Club Resorts now have the same fencing that have appeared at the Monorail Resorts. 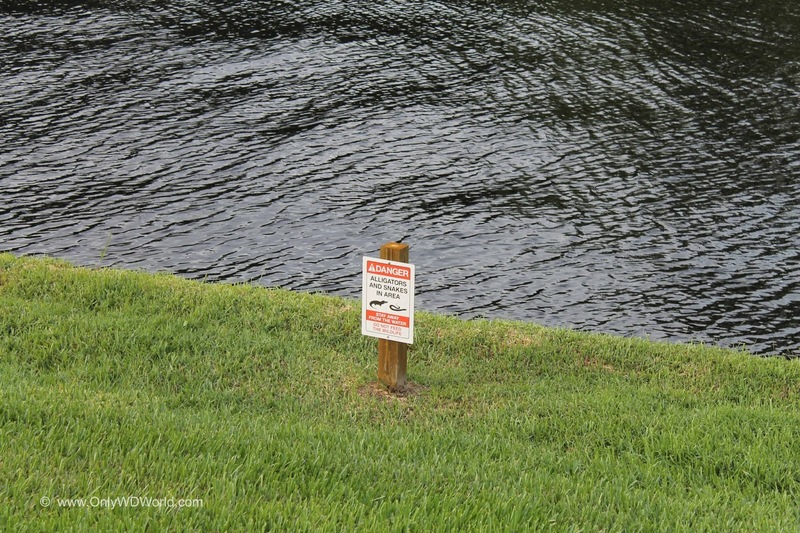 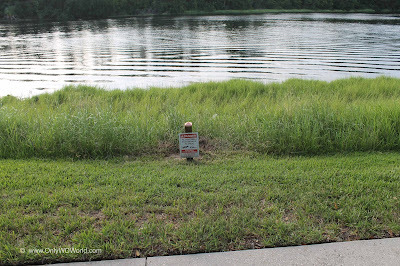 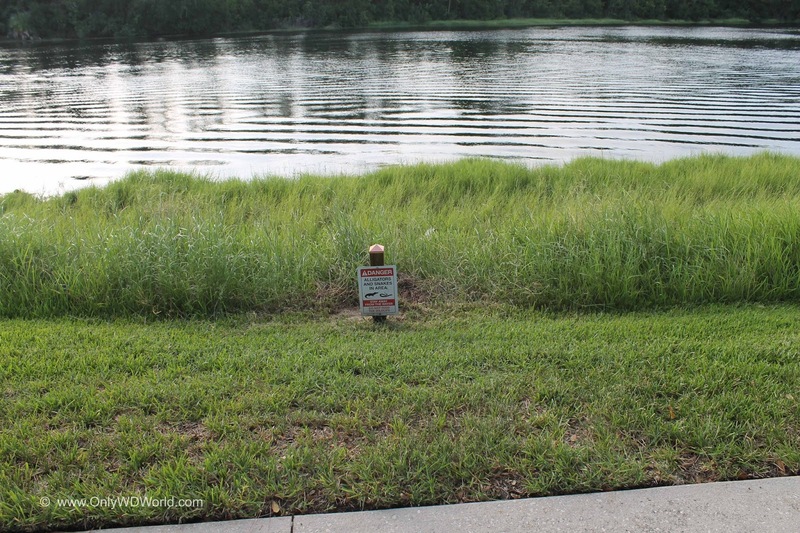 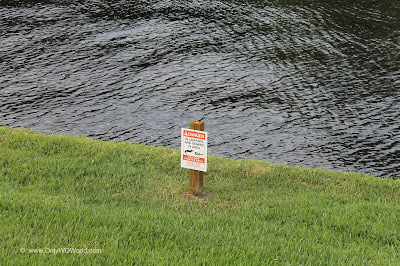 We also witnessed the new signage placed along waterways at Disney's Port Orleans Riverside Resort, the walkway from Disney's Hollywood Studios theme park to Disney's Boardwalk, in a marshy area behind the Speedway Gas Station near the Boardwalk, and many others. Changes are clearly visible denoting that Disney has taken the potential threat of future incidents seriously and responsibly. 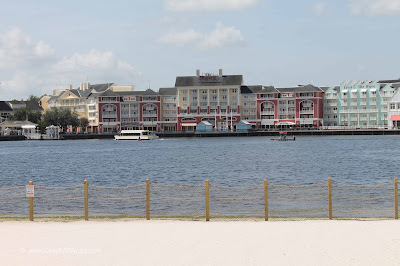 Whether you believe a repeat incident was likely or not, Disney has taken precautions creating barriers and increasing awareness to greatly reduce the likelihood that a similar tragedy can happen at the Walt Disney World Resort again. 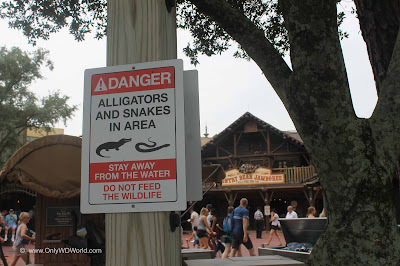 0 comments to "Disney World Dangerous Wild Animal Awareness Changes"